What is your favourite type of sandwich? Mine is hands down without a doubt tuna salad. I have an issue however with purchasing tuna that was caught clear on the other side of the world, and sent over in a can. 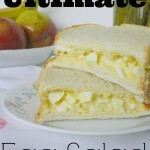 But that’s another topic for another day, and so I’m going to share with you my second favourite, Egg Salad. But it wasn’t always this way. It took the discovery of a secret ingredient to make this luncheon staple even appear on the list. Hard cooked eggs have a tendency to smell unpleasant. Of course, there is a solution to that, and it’s knowing how to cook them properly. And a lot of egg salads I have come across in the past have been yellowy goop. 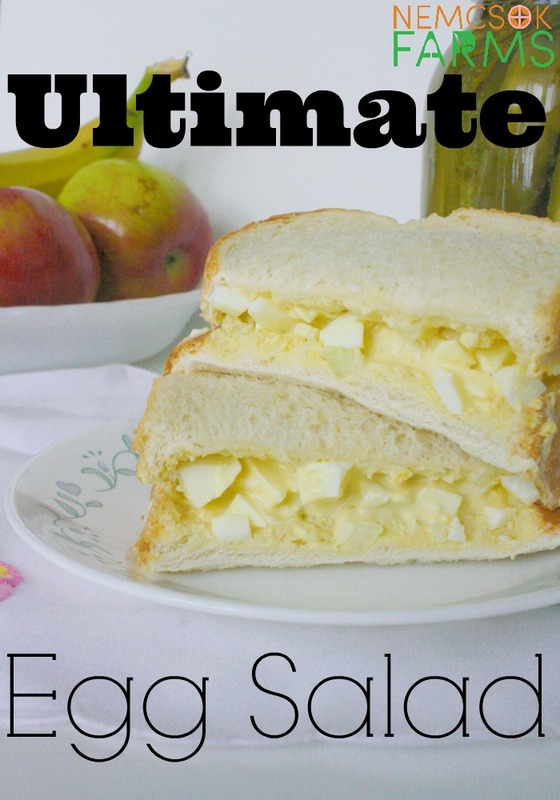 A couple of things about making egg salad. You really need to follow the instructions for perfectly hard boiled eggs. It matters. 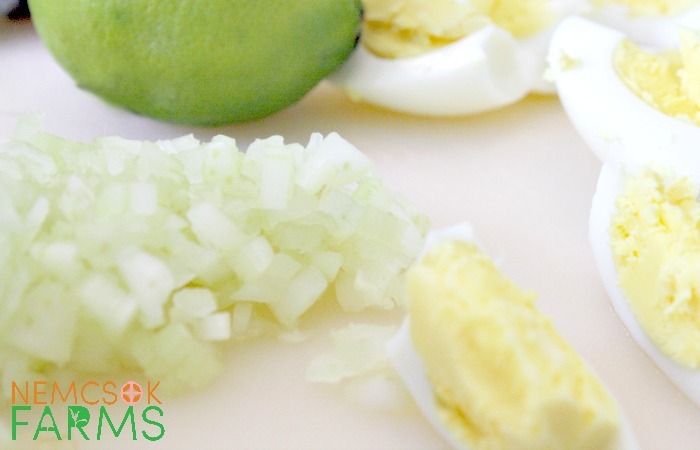 A perfectly cooked egg will not smell, and it will also have the optimum texture for chopping and not mashing. It’s the chopped eggs that keep your salad from becoming goopy. And of course not using too much mayonnaise. And of course, there’s the secret ingredient. Can you guess what the secret ingredient is? Yep. The photo gives it away. Lime. 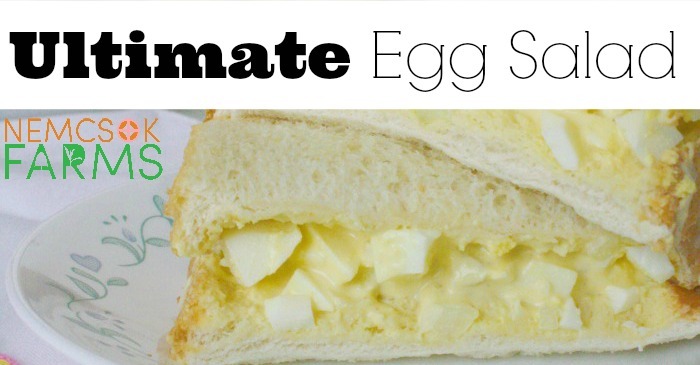 The lime juice in the egg salad is quite refreshing. Squeeze a fresh lime if you’ve got one, and if not – bottled lime juice will work just as well. However, lime peels in your compost will smell fantastic! Peel and chop the hard boiled eggs.